Having examined the state of current Canadian copyright law with respect to anti-piracy measures, the series outlining the case against the Bell coalition’s website blocking plan continues with an examination of the evidence on Canadian piracy. The coalition argues that piracy in Canada is a growing threat, relying on data from MUSO to suggest that current activities “makes it difficult if not impossible to build the successful business models that will meet the evolving demands of Canadians, support Canadian content production, and contribute to the Canadian economy.” My next post will discuss economic evidence in Canada, highlighting record growth in authorized streaming services and production in the Canadian creative sector. 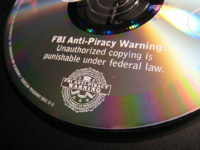 This post is limited to data on Canadian piracy rates and whether drastic measures such as website blocking are needed.